In honor of Malcolm’s commitment to the arts, The Mac Miller Circles Fund will provide programming, resources and opportunities to youth from underserved communities, helping them recognize their full potential through exploration in the arts and community building. 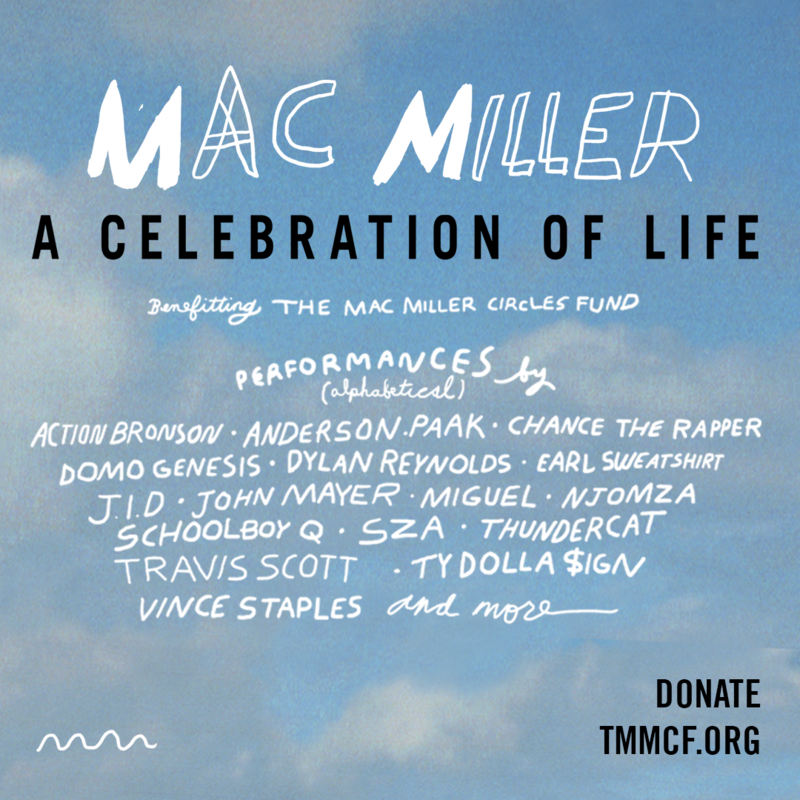 DONATE ONLINE: You may donate to The Mac Miller Circles Fund through the online donation form. DONATE BY CHECK: You may also mail a check, made out to The Pittsburgh Foundation with The Mac Miller Circles Fund in the memo line to: The Pittsburgh Foundation, 5 PPG Place, Suite 250, Pittsburgh, PA 15222.